Val d’Isère is known throughout Europe for its world-class skiing, cuisine, après-ski, night life, spas and luxurious accommodations, surprisingly few Americans have discovered this iconic ski resort in the French Alps that is situated at 1850 meters (6,069ft). Val d’Isère, where French Olympic skier Jean-Claude Killy honed his skills, first entered the world stage when it hosted the Men’s Downhill ski events during the 1992 Albertville Olympic Games. 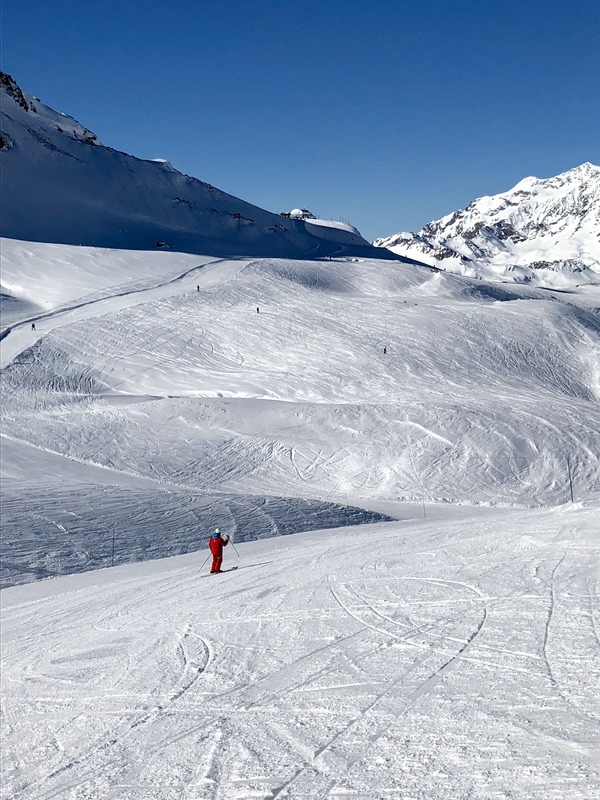 Its expansive ski area, which is linked with a nearby village called Tignes, offers more than 300 kilometers (186 miles) of pistes and 10,000 hectares (24,700 acres) of ski terrain, serviced by 78 lifts. Approximately 60% of the 153 trails and 10,000 hectares (24,710 acres) of ski terrain are located above 2200 meters (7,218 feet). The ski area stretches from a top altitude of 3450 meters (11,318ft) down to 1550 meters (5085 feet). And, in the unlikely event that it is a dry season, Val also has the largest snowmaking facility in Europe with some 900 snow cannons covering 40% of the ski area. As the majority of non-French visitors are British, English is a second language spoken by nearly every resident of the area. “But while nearly everyone speaks English the resort remains totally French in ambience,” says Peter Hardy, U.K.-based ski journalist and co-editor of WeLove2Ski.com. Located near the Italian border, Val d’Isère is renowned for offering some of the best on and off-piste skiing in the world. Here, the most expert of skiers find exciting and challenging runs, while “Val”, as it is referred to by locals, is also hospitable for beginner and intermediate skiers. Trail color signage is different in Europe: green means beginner, blue means easy, red is intermediate, and black is their equivalent of double black diamond. Be aware that in Val the colors are on the harsh side – a red here would be graded black in many other European resorts. 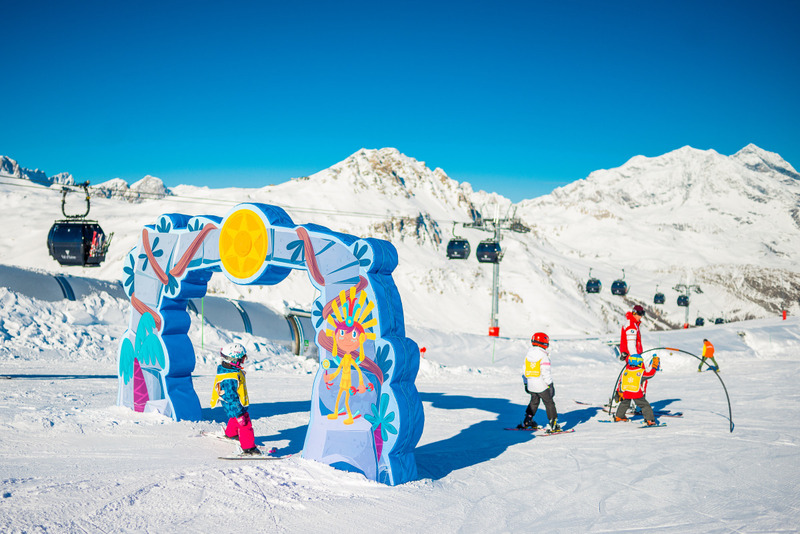 Due to the abundance of runs for all levels at the top of the mountain, Val d’Isère is the ideal location for anyone planning a family holiday, a ski getaway with friends or even a corporate retreat—regardless of the level of each individual’s skiing ability. And, unlike some other ski resorts, Val d’Isère has a very long season. The mountain opens for skiing in late November and doesn’t close until early May—plus there are six bonus weeks from early June to mid-July when several lifts are open for glacier skiing on the Pissaillas glacier at 3400 meters (11,155 feet) above the hamlet of Le Fornet, which offers easy blue and more difficult intermediate level red runs. The French national ski team is known to come here to train during June each year. The larger La Grande Motte glacier at 3456 meters (11,338 feet) above neighboring Tignes remains open for skiing for most of the year. The blue and red glacier runs here are serviced by six lifts. Val d’Isère is considered by many to be the best ski resort in all of Europe for a variety of reasons. It has a micro climate that is quite different than much of Europe, so that it always has snow—in January of 2018, more than six meters (20 feet) of snow fell in a six-day period. In addition, it is a large resort with some of the best lift access terrain in the world. The town of Val d’Isère at night. Image courtesy of Val d’Isère. 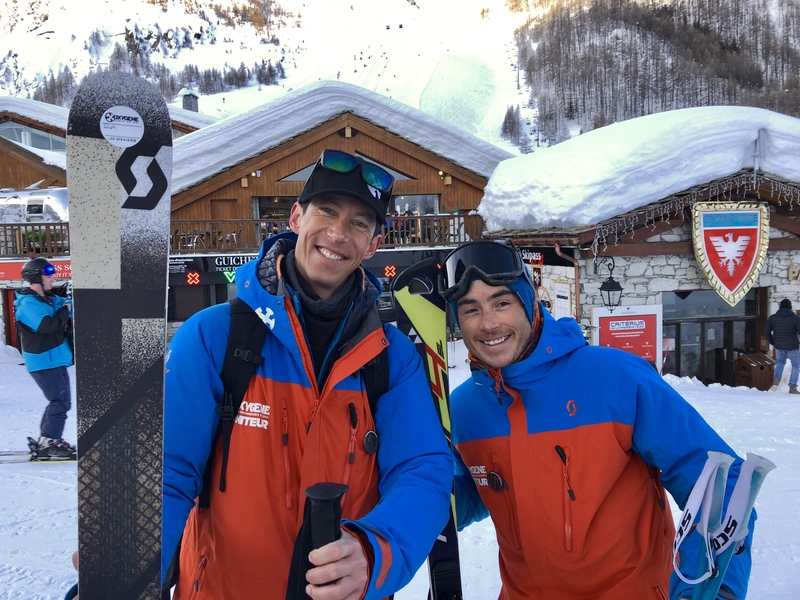 “There are seven different ways of getting up the mountain, so you never have to wait in a lift line for more than two minutes to get up, even during the high season,” says Hardy, a Brit who has skied at Val d’Isère for his entire life. There are 78 fast lifts and 300 kilometers of groomed pistes and if you hire a guide there are countless off-piste areas to discover. “I’ve been skiing here all of my life and I keep coming across slopes I’ve never skied before,” adds Hardy. There is a a dedicated beginner area which offers a ski school for kids. Image courtesy of Val d’Isère. A new beginner area opened on the Val side of Solaise, which makes it possible for skiers of all ages and at every level to enjoy the top of the mountain and all that it has to offer. Serviced by a new gondola lift with heated seats and Wi-Fi, skiers are transported from the village to the top in only seven minutes. Solaise’s ski area for beginners is secluded and offers a 7% grade slope. There’s a dedicated beginner area, covered by three giant covered magic carpet lifts and a lodge where skiers can picnic and relax. More importantly, it is possible for beginner skiers to ski all day long without being disturbed by more advanced skiers. 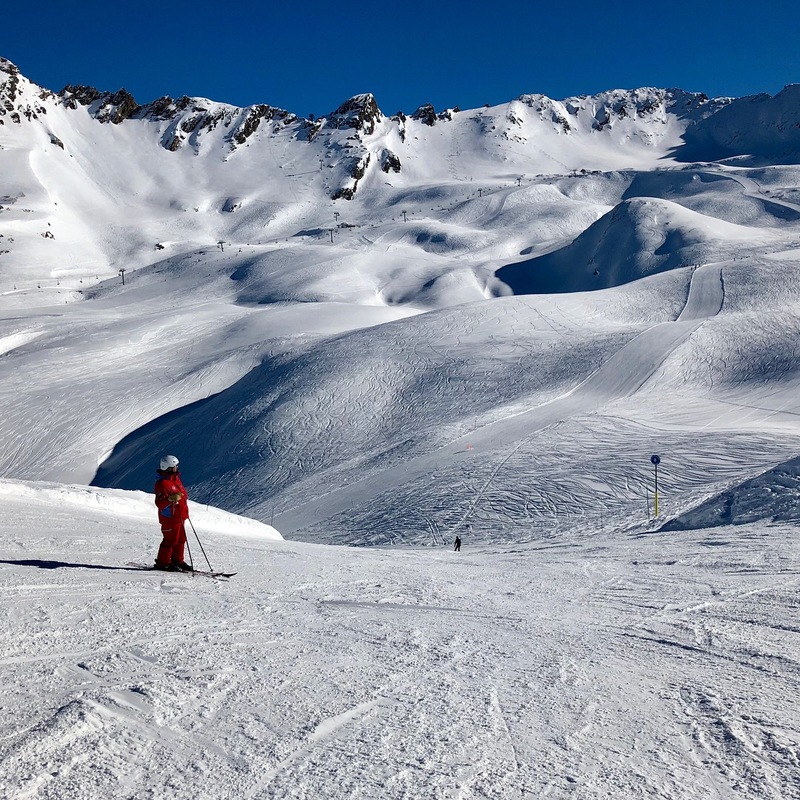 The majority of ski schools start at the bottom of the mountain for a few hours or for the first day, then go up the mountain to Solaise and progress from there. “Once you have done the easy green runs, you can move up to slightly more challenging blue runs nearby and end the day taking the gondola back to the bottom,” says Hardy. Val offers a special daily lift price especially designed for beginners that is half as expensive as the full lift price that covers this area. It’s worth noting that lift tickets here and in Europe in general are far less expensive than in North America. Getting to Val d’Isère by air is accomplished by flying into Geneva, Switzerland or Lyon, France. From either airport, a private transfer by car to Val d’Isère takes 2 ½ to 3 hours. There are closer, smaller airports including Grenoble and Chambéry, but they offer fewer flight options. The best transfer companies are Mountain Rescue Transfers and SnowDrone Transfers and a driver will greet you at arrivals to help you transfer your luggage to the vehicle. 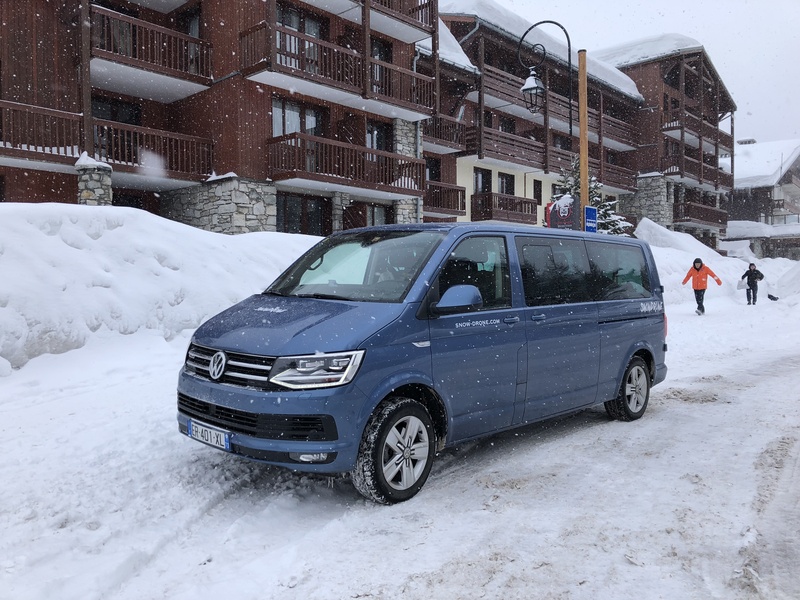 Mountain Rescue offers a fleet of 17 minibuses consisting of black T6 Volkswagen Caravelles with room for up to eight passengers plus ski luggage. Round-trip transfers start at 648 Euros from Geneva and 760 Euros from Lyon. Snow Drone offers a fleet that includes Volkswagen Caravelles, Audi A6 and Teslas, outfitted with leather seats, Wi-Fi and iPads, programmed with dozens of films and television shows, attached to seat backs. Round-trip transfers cost approximately 680 Euros for up to six passengers from Geneva and 760 Euros from Lyon. You can also transfer to Val d’Isère by helicopter from Geneva airport, a trip that takes approximately 30 minutes, for about 2000 to 2500 Euros for up to six people. Geneva airport is 223 kilometers away from Val (approximately 138 miles). Arguably the most bespoke accommodations in Val d’Isère are the many catered chalet rentals from which to choose. Staying in a chalet is much like renting a small five-star boutique hotel or a private yacht. 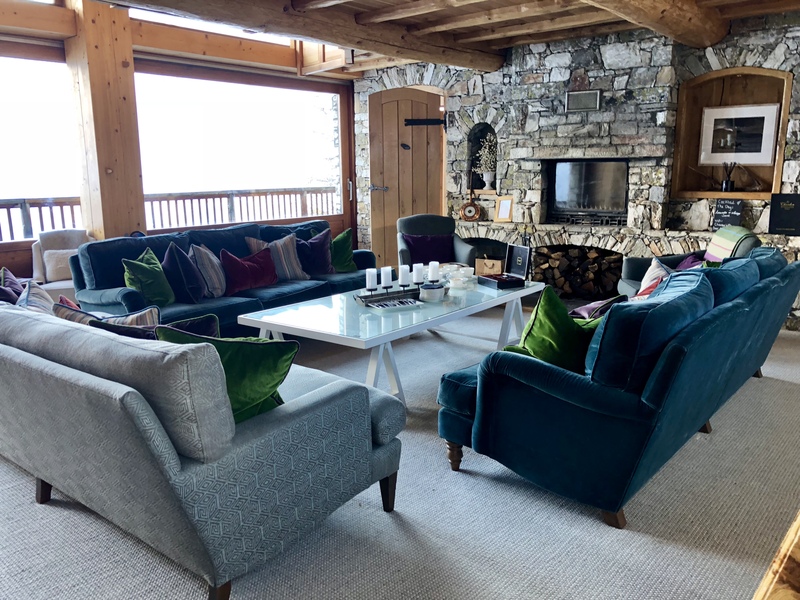 One of the top chalet companies in Val d’Isère is Le Chardon Mountain Lodges, which offers fully-inclusive stays for their guests. Le Chardon has five beautifully furnished chalets, including one with 10 bedrooms (sleeping 20), while the others accommodate between 10 and 14 guests. Each chalet is equipped with its own private chef, a hostess/waiter, housekeeping and hot tub (or several hot tubs) and some have spa areas with a sauna and treatment room. The chalets share a chauffeured van service that is on-call from 8am to 2am and a full-time massage therapist with an expansive menu of treatments (priced à la carte) from which to choose from facials to hot stone massages. Le Chardon chalet rentals include breakfast, après ski cocktails, champagne and canapes, an open bar and a gourmet dinner paired with wines. The chalets are ideal for family holidays and corporate retreats. The chalets are available on a sole occupancy basis, with off peak weeks starting from $1,943 (£1,395) per person. 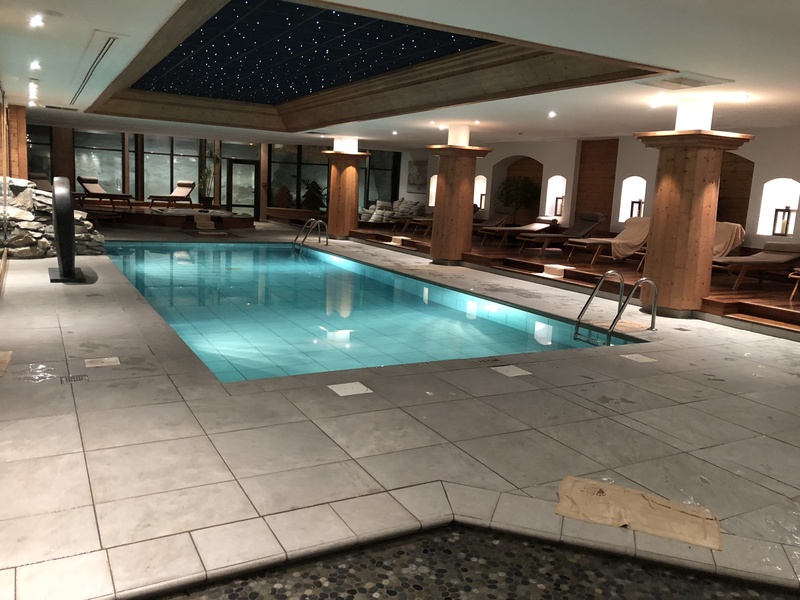 There are a number of other luxury chalet rental companies in Val d’Isère, some of which offer homes with indoor swimming pools, home cinemas, and fitness rooms. 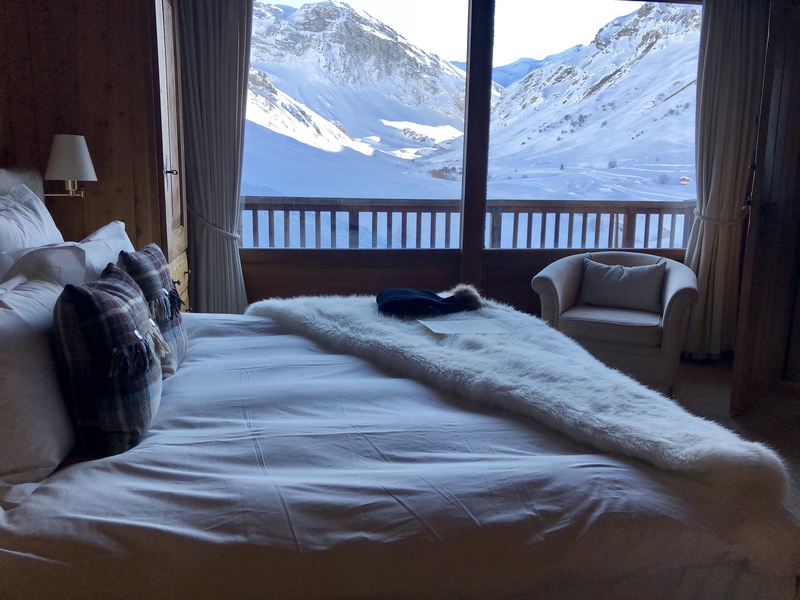 There are several centrally-located five-star hotels in Val d’Isère, including Les Barmes de l’Ours, Le Blizzard Hotel and the Hotel Avenue Lodge. Located in the heart of town and 100 meters from the slopes, Le Blizzard offers rooms with balconies, billiard room, a full-service spa with sauna, Hamman, outdoor pool and whirlpool. 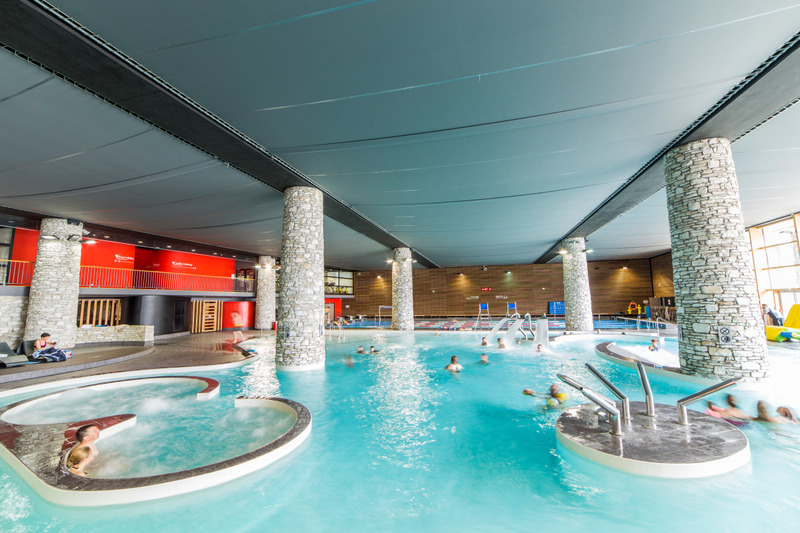 Hotel Avenue Lodge was designed by Parisian architect Jean-Philippe Nuel, and features a full-service Clarins spa, heated swimming pool, whirlpool and Hamman. Its lounge, which features a fireplace, is a popular destination for cocktails. Hotle Avenue Lodge also has a ski rental shop on site. Les Barmes de l’Ours, a Relais & Chateaux property, offers 76 guest rooms and an abundance of amenities including a games room featuring foosball, pinball and X-box stations, two bowling alleys, billiard room, a pro-shop in the hotel, 1,000 square meter wellness space featuring a fitness center, indoor pool, Hamman, whirlpool, sauna, full-service spa and a hair salon, the hotel offers several family-sized suites with separate rooms with bunk beds. Its restaurant, La Table de l’Ours, offers gastronomic cuisine in a formal setting and is known to be one of the best restaurants in the area. Fortunately for anyone who visits Val d’Isère, the best ski rental equipment company to be found anywhere in the world, is based here. Snowberry, which is locally run by Scots Jock and Susan Dun, is known for taking the time and effort to accurately fit ski boots and skis, with the same amount of attention that at other shops is normally reserved for those seeking to purchase—not rent—equipment. Top-of-the-line snowboarding and ski equipment is offered here by such manufacturers as Atomic, Lange, Salomon, Nordica, Head, Rossignol, Tecnica, Fischer, and Nitro. Skis, boots, poles, snowboards and helmets are available here, for all levels of ability, and since equipment is retired after two years of service, rentals are either new or nearly new. There are two Snowberry locations in Val d’Isère. One day passes cost 57 Euros while a six day pass costs 285 Euros. Skiing is free for children under five years and seniors 75 years or older. There are also three lifts on the edge of the village that are free for beginners. A fairly extensive lift pass for novices in the Solaise area costs a reasonable 36 Euros per day. There are a number of excellent ski schools, including ESF (Ecole du Ski Francais), Evolution 2 and Oxygene Ski & Snowboard School. Oxygene, for example, offers child and adult group and private lessons as well as coaching in English or French (other languages are also available). Hiring a private guide is the best way explore all that Val has to offer, including off-piste runs, for even the most experienced skiers and snowboarders. Guides are offered for one hour slots, mornings, afternoons, full days and even whole weeks. Lessons can be tailored and custom-fitted. Oxygene also offers instructors who specialize in snowshoeing, telemark, ski-touring, sit-skiing, cross-country, freestyle freeride, paragliding and heli-skiing. Val d’Isère deservedly has a reputation for having some of the best après ski and night life in France. Après ski starts on the mountain at lunchtime at the world-renowned La Folie Douce, a restaurant, bar and cabaret establishment that is highly regarded for its excellent food as well as for its lively entertainment. Lunch service begins at noon and guests can dine in either La Petite Cuisine (a self-service, quick dining area), a wine bar, or at La Fruitière” the bistronomic restaurant. 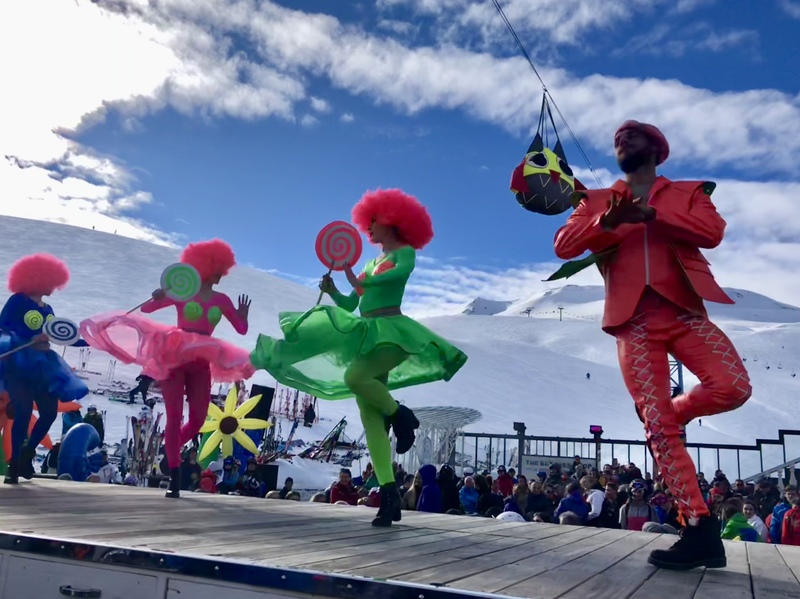 Professional dancers in colorful costumes offer cabaret performances on the terrace each day at 1:30pm and 2:30pm while at 3pm, a DJ takes over and more than 2,000 skiers can be seen dancing to music in their ski boots. 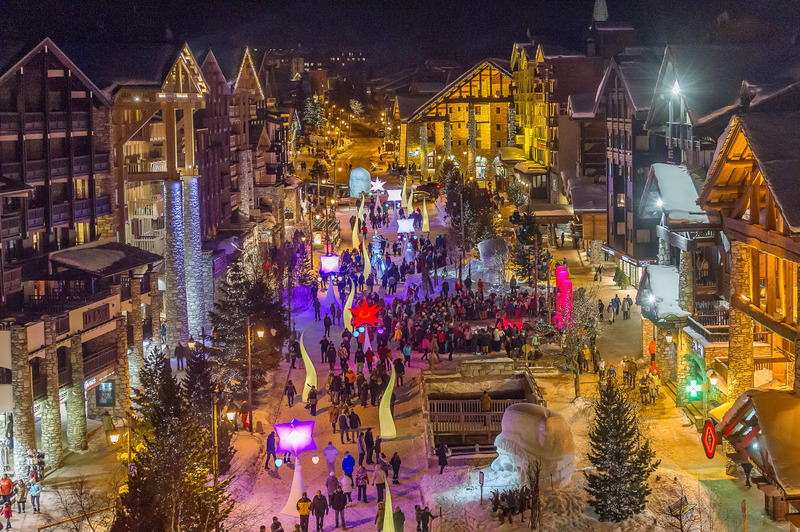 Down in the village, the most popular après ski destination is Cocorico which offers live music and dancing. The town of Val also offers many wine bars and there are several night clubs with dancing from midnight until 5am. One of the best-known night clubs is Dicks Tea Bar, which has operating for more than 40 years. Open every night starting at 10:30pm, it offers great cocktails, a resident DJ and live music. Tables book weeks in advance, so be sure to make a reservation or show up early to beat the line. The town has an abundance of excellent restaurants, from ones that specialize in raclette and fondue to others that serve French, fusion, or Italian cuisine. 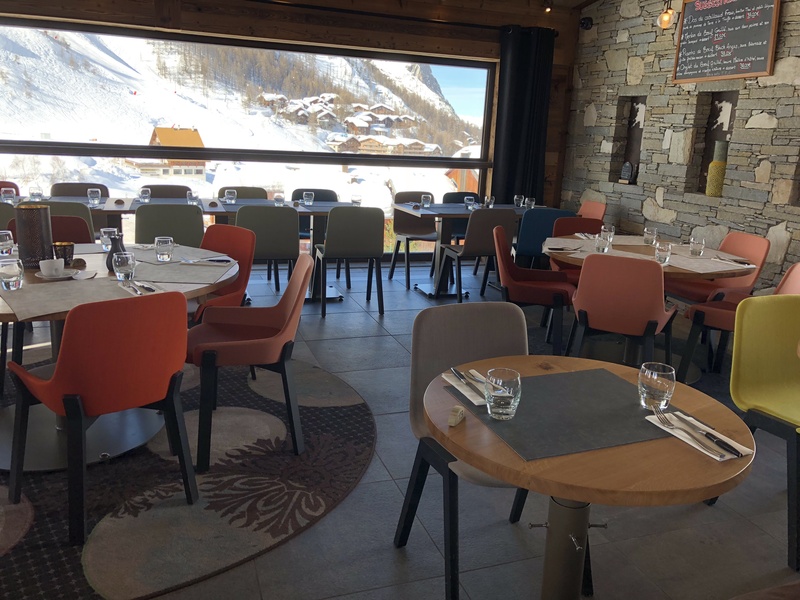 In addition to La Table de l’Ours, one of the best restaurants is L’Atelier Edmond in Le Fornet run by Michelin two-starred chef Benoit Vidal. The restaurant offers a beautifully-decorated gastronomic restaurant and cocktail lounge as well as an adjacent brasserie that offers a more modestly priced prix fixed comfort food menu featuring stews and delicious desserts. Other excellent restaurants include Le Signal, which has a lovely outdoor terrace and is located mid-mountain by the cable car at Le Fornet. La Folie Douce, also mid-mountain and located just above La Daille, as mentioned earlier (from La Folie Douce it is possible to take the new 10 million Euro gondola back down the mountain). Last but not least, is L’Entincelle, a new restaurant on the snowfront at the foot of Solaise Mountain. In addition to lovely boutiques in town, there are several other activities to enjoy, so even non-skiers visiting Val d’Isère will have plenty to keep them occupied. BMW offers an ice driving course in nearby La Daille that features high-performance BMWs and instructors who will guide you through an icy race course. Other activities, ranging from paragliding, dogsledding and ice skating are also available as well as ice scuba diving beneath a lake in Tignes. One of the highlights of Val d’Isère that shouldn’t be missed—especially for those with children—is the world-class Aquasportif Centre, which is open to the public (for a fee, though skiers get one free entrance with the purchase of a two day or longer ski pass) and located in the center of town. It features swimming pools, spas, an indoor multi-sport hall (soccer, volleyball, badminton, etc. ), trampoline, basketball, two regulation squash courts, a 12-meter-high climbing wall, driving and golf simulators and an expansive fitness center with cardio and weight machines and yoga classes. The Aquasportif Centre, which is open to the public and located in the center of town. Image courtesy of Val d’Isère. Val continues to grow, too. Construction has started on a five-year 200 million Euro regeneration of part of the town center that was originally constructed in the 1970s. Called “Le Coin de Val”, it will include 900 new beds in two hotels, apartment blocks, and in 100 private chalets and is the largest construction project in the French Alps in 20 years. And in December, Le Refuge de Solaise, will open. Formerly the oldest cable car station in France dating back to 1942, is being transformed into France’s highest hotel, with 360-degree panoramic views of the surrounding mountains. It will have 10 luxury bedrooms and half a dozen apartments that are available to rent or buy, in addition to a luxurious spa, a restaurant with 380 seats indoors, and a large sun terrace. Access during the summer months will be by road, while in winter the hotel can only be reached by the new Solaise gondola or by Snowcat. Spending the final night in Geneva makes the most sense, and will allow you to squeeze one more morning of skiing before having lunch in Val and jumping in your private transfer to Geneva. 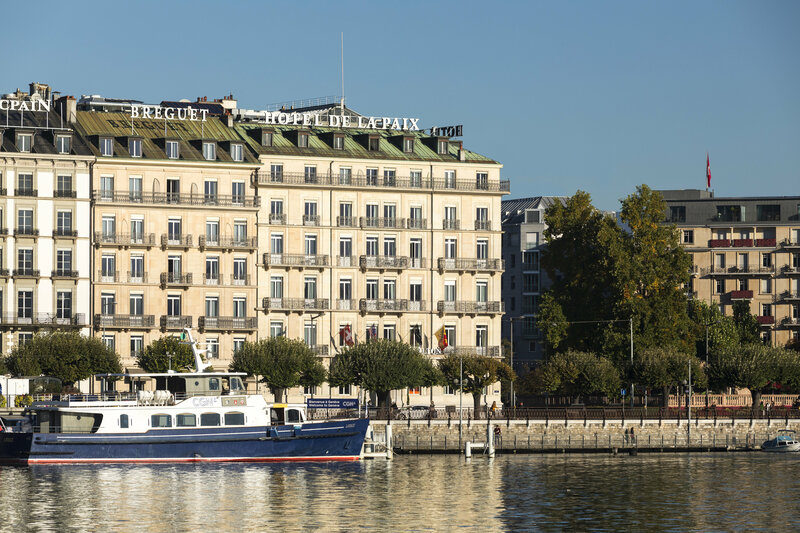 One of the best places to stay in Geneva is the Ritz-Carlton Hotel de la Paix, a luxurious, recently renovated hotel that faces Lake Geneva and is only a 15-minute drive away from the Geneva airport. Rooms are expansive and exquisitely decorated. 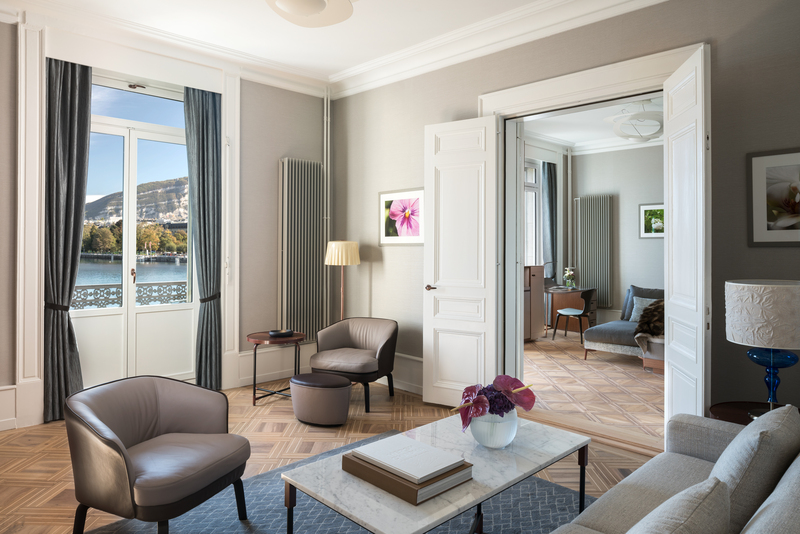 The Grace Kelly Suite, where its namesake used to stay while visiting Geneva, is a 1,121-square foot suite with a balcony offering views of the full lake and the Alps. The hotel offers two impressive restaurants, including the Nordic-inspired Fiskebar where you can sip homemade infused aquavit and the Living Room Bar and Kitchen which offers contemporary cuisine and stunning views of the lake. 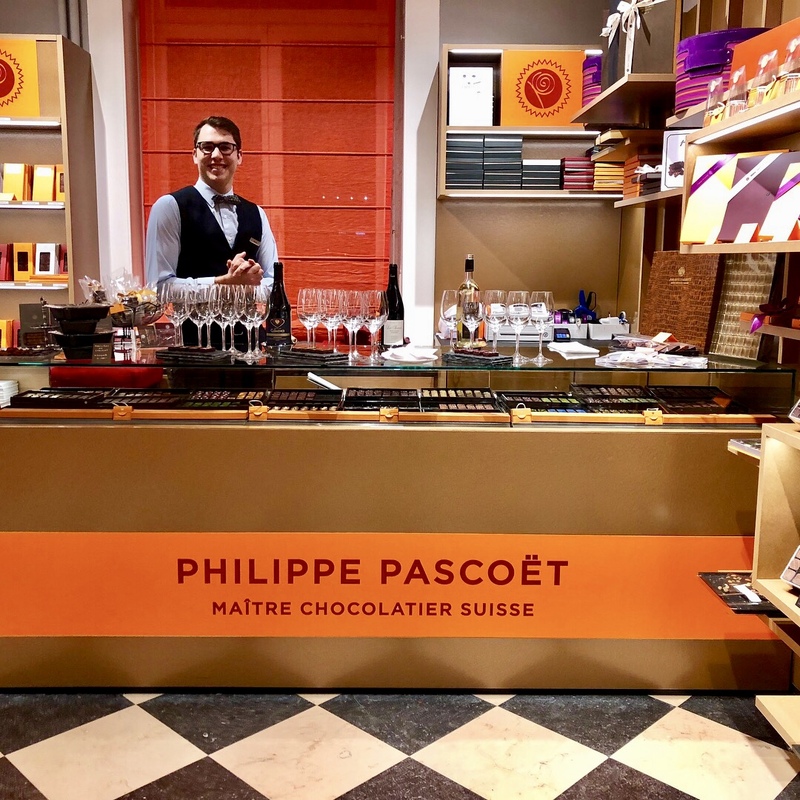 The Philippe Pascoët chocolate shop in the Ritz-Carlton’s lobby offers artisanal chocolates, which can be sampled by guests at a complimentary wine tasting hosted by the hotel each day at 3pm in the Living Room Bar. Of course, if you can spend two nights in Geneva, you will have the ability to explore this magnificent city. If this is the case, be sure to visit the Patek Philippe Museum, the International Museum of The Red Cross and Red Crescent. You might also choose to spend a day visiting wineries in La Côte just outside of town or relaxing at Spa de la Mer, the legendary spa that features La Mer sea-inspired products.